I’m a very sentimental kinda guy. Rummaging through my things, found my portable CD player that I really loved. The many happy memories of my teenage travels through the countryside with my trusty musical companion was flooded my consciousness, and I was hit with a euphoric sense of nostalgia. Curiously, I wondered if I could breathe new life into it if I replaced the battery pack. I did just that and voila. It worked. I quickly hunted for my favourite Adele CD I got from Speedy’s and played the entire album, reminiscing the days of yonder year. The CD player was a Sony. This made me think of the many inventions the Japanese have blessed the world with, and have faded into obsolete oblivion. The walkman. A portable music device from Sony that has attempted to transform itself with every new wave of tech upgrades. The first model was first made in 1979 and called the TPS L2. Since then there have been 13 versions right up to the latest version in 2015 with 128 GB if storage. 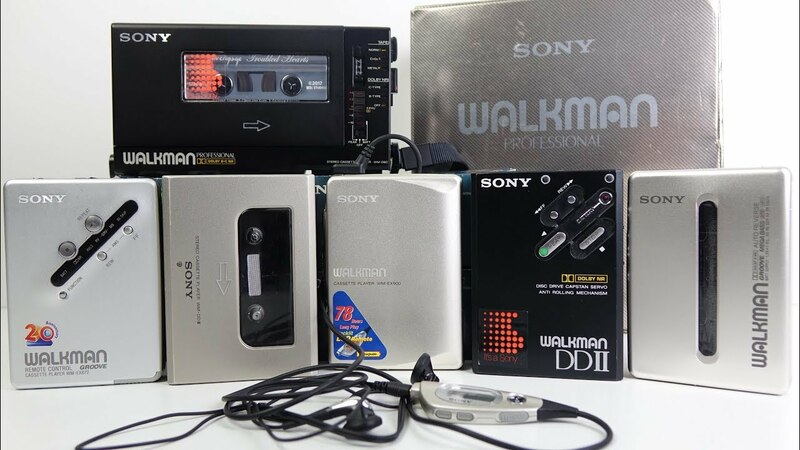 The most iconic models were the 1981 Walkman which played cassette tapes that was used in many movies and tv series of the 80’s and paralleled the boogie era. The later versions had AM FM radio and were splash resistant. The late 80’s saw them bulk up with CD’s and the competition started to push them off their edge in the 90’s, despite making it smaller with flash storage and rebranding the concept. The iPod, and Zune decimated them. I really miss that nostalgic feel of them. Nowadays, you can’t be caught with them without being insulted as a hipster. The BetaMax. This amazing contraption was made in 1975 and was an instant hit. This was the first device that could record your audio on cassette tape and replay it. The versions after that were able to record video too. It came with its own rig that had your TV, VCR and BetaMax in one combination to record your programs on telly. That being said, it was super expensive. Sadly it faded away and was eventually replaced with TIVO, until the concept of Video on Demand became our primary mode of consumption. The last contraption was the compact disc. A circular device that harness the power of light to record, transfer and display vast amounts of data, like high quality audio and music files. It gave birth to the DVD and VCD which turned movies into a stunning experience, where you could even make out the wrinkles on your favourite actors faces. That alone ended the acting careers of aging celebrities who kept up the facade with copious amounts of makeup. The Blue Ray Disc further streamlined hollywood with the demand for visually vivid display, making it the status symbol of many families. This also died a slow and natural death, as flash storage and information density technology has made exponential progress. I still can’t believe there is an entire generation of people that have understanding of the cassette. This entry was posted in Gaming Japan and tagged 90's audio gear, japan audio and visual, Japanese audio pocket cd players. Bookmark the permalink.